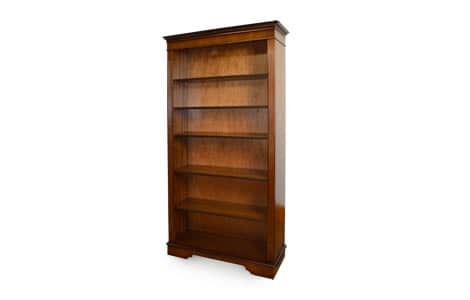 Our range of traditional style reproduction bookcases are manufactured to the same high quality as all our reproduction office furniture. Designed to stand alone all bookcases come with a selection of adjustable shelves. Available in 2 widths, 3 heights and 5 different wood finishes. The low and medium height options also have the option of a leather embossed insert on the top.